In addition to its measuring technology in the field of torsional vibration analysis, VISPIRON ROTEC has launched ROTEC ENGINEERING and now offers engineering services for complex measuring tasks worldwide. 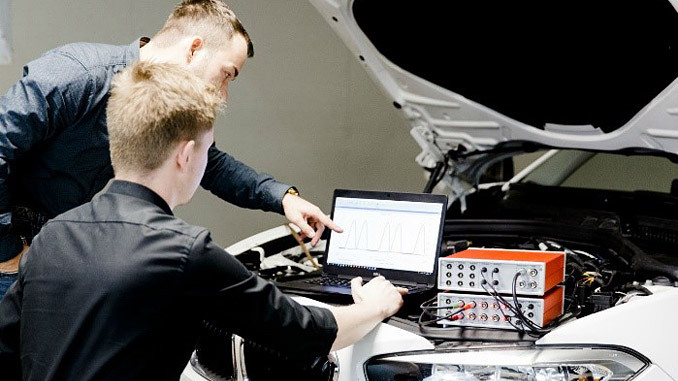 Due to the high demand on the part of VISPIRON ROTEC for services for demanding measurements and analyses in the automotive sector, the company is expanding its offer to include engineering consulting. VISPIRON ROTEC is known for its market-leading measuring technology in the area of torsional vibration analysis. ROTEC ENGINEERING positions itself through advanced engineering services in all areas of dynamic component and subassembly testing regarding complex functional analyses in the energy sector, in shipbuilding, mechanical engineering and plant construction as well as in the automotive sector. With its component and system competence, the experienced team offers complete development projects from the initial idea to the final project completion. In addition, the team advises on metrological issues, individual requirements as well as measurement data analysis and offers individual customised solutions. ROTEC ENGINEERING focuses on powertrain testing, timing drive validation, valve train dynamics, FEAD/belt drive dynamics and parameter determination for simulation. Stefan Wehmeyer leads the ROTEC ENGINEERING team. He previously held various positions at Ingenieurgesellschaft für Triebwerkstechnik (later Schaeffler Engineering), Mahle and AVL Schrick.